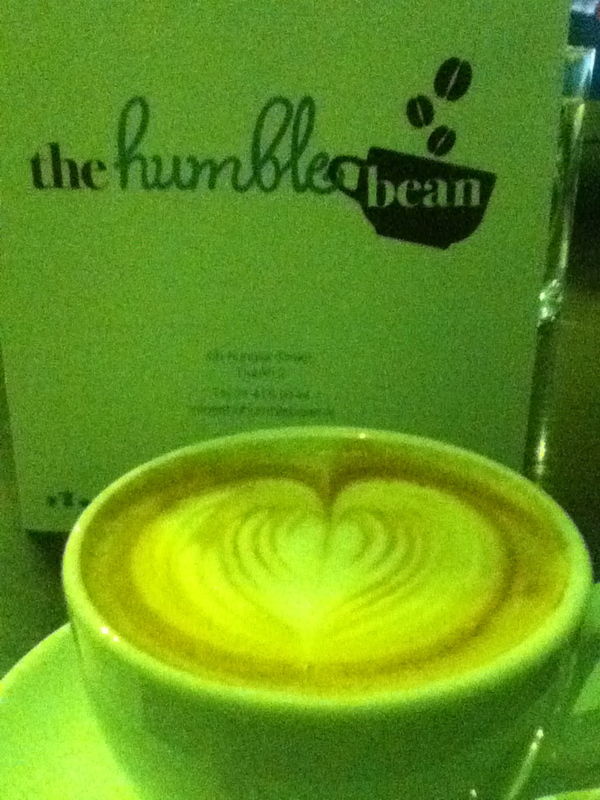 Coffee in Dublin can be summed up by one word: mediocre. I haven’t had many awful coffees, but I’ve only had a few “great” coffees. I was spoiled when I lived in Australia — coffee culture is really taking off in Brisbane, and I was able to enjoy a high standard of specialty coffee while living there. When I returned to Canada I couldn’t go back to percolated coffee, and was constantly disappointed by any espresso based drinks I ordered. In Canada, you have to be in the right city for good coffee. Toronto has a good coffee scene, but most Canadians are happy with a quick double-double from Timmies or a latte from Starbucks. I think it’s a reflection of culture. Canadians are business oriented and coffee to us is functional — it wakes you up and helps you get through the work day. Australia is big into day time culture, so people often treat going for coffee as a big part of their social life, therefore it’s a higher standard of coffee. I think the whole world knows that Ireland is a night time culture kind of city. Generally speaking, people go for pints here rather than coffee. That being said, Ireland is still a part of Europe, and Europeans are big into coffee. Cafes here are equipped with quality coffee machines and there are plenty of shops to choose from. I think the biggest problem is the lack of training here. Being a barista is almost a trade in Australia and people get paid fairly well in the service industry, whereas it’s not valued as much here in Ireland. You know coffee culture isn’t great when cafes advertise pictures of awful latte “art” on their front stoop. Nevertheless, I have found some good coffee in Dublin. I have been gallivanting all over the city ever since I’ve arrived, and I have a few favourite spots and a couple of places to avoid. 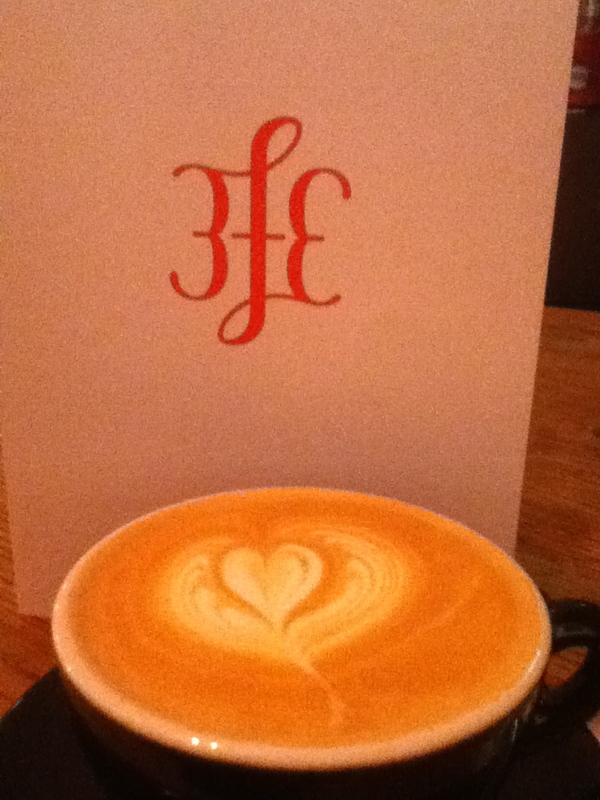 The “best” coffee that I’ve had here was from 3FE. Good barista, good blend, good presentation, organic milk, reasonable price. From Dublin’s standards, these guys are in a league of their own. There’s two locations — one in Dublin 2, one in Dublin 1 (both of which are too far to be my “local” shop). 3FE easily boasts the highest standard of coffee that I’ve had since I’ve been here. Don’t ask for soya milk because they don’t have it. They only make coffee the “right” way — no modifications. You know a place is good when it’s known in the international coffee community. One of my friends in Brisbane owns One Drop (GREAT coffee) and he sent me 3FE’s webpage, and when I went to the “best” coffee shop in Stockholm (Drop) and told the barista I live in Dublin all he said was “3FE”. To be fair it isn’t the best coffee I’ve ever had, but it’s high quality and makes me extremely happy. A hipster haven, The Fumbally is a trendy shop with a cool ambiance. Wood furniture, big windows, social tables, and happy houseplants all make for a cool vibe. They make a great latte, but the one time I ordered a long black it was mediocre at best. They serve breakfast all day and try their best to use only organic ingredients. Yes it’s a chain, but these guys make a great soya cappuccino. It’s a little bit more expensive (3.50 for a soya cap) but I find the coffee to be consistent no matter what location I’ve gone to throughout the city. The coffee they use has a beautiful bold, chocolately taste, and goes especially well with soya milk. The best part of Butler’s though is the free chocolate with every drink order — I go for the 70% truffle or the double dark chocolate! Great food, good cappuccino, cute cafe. I ordered a soya cap and she brought out a regular cap, which was delicious and had a pretty pattern. I was trying to avoid dairy though so I got her to bring me the soya coffee, which wasn’t nearly as good. It’s hard finding a barista that can heat soya milk properly. Good takeaway coffee. Stronger taste. Delicious. Now I’m no coffee expert, and coffee that I like might be totally different from the person. I’m just a gal who REALLY loves coffee. I have many more cafes I need to try in Dublin, and if you have any suggestions I’d love to hear them!